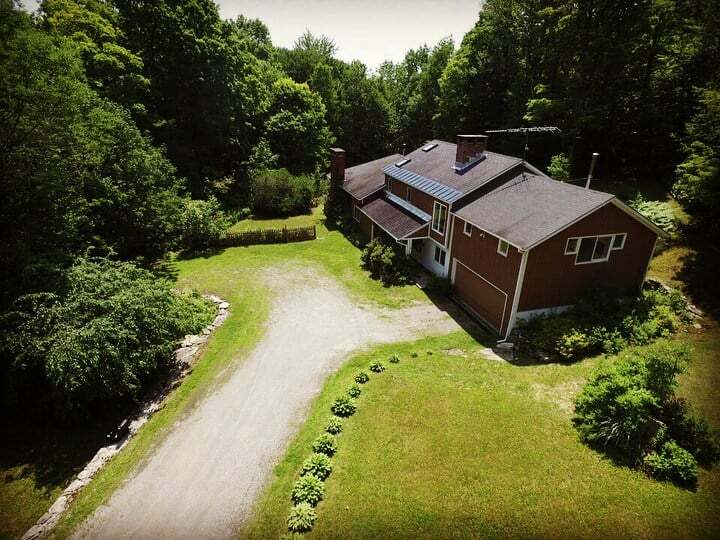 This spacious 1979 contemporary is in the heart of ski country AND easily accessible to all local amenities located in a very desirable location off Winhall Hollow Road. Seller's family renovated and made additions in 1989. An oversized living/dining area with twin sliders looks out towards adjacent state protected forest, two fireplaces, central air, study or parlor , a HUGE bonus room above the two car garage with endless possibilities. Three bedrooms, master with Jacuzzi tub. The kitchen has more than enough counter space for baking and entertaining with a wonderful butler's pantry attached. A sweet fenced in garden area along with your own garden shed are waiting for you to enjoy. Charming covered entry porch overlooking a generous parking lot for ample parking. This home is suitable for year round residents or second homeowners. Roof replaced in 2009.